Eden Mobility Bridlington has been serving Bridlington, Filey, Driffield, Hornsea and other surrounding towns and villages for over ten years. Originally located at St John Street in the old town, we moved the store to Chapel Street opposite Boyes department store two years ago. We realised we needed to be in the heart of the community and Chapel Street is just that. We have everything from everyday living aids right up to rise and recline chairs, mobility scooters and we have a working stair lift demonstration unit in store. Come and pop into our store and see our fully working stairlift demonstration unit, our Zodiac range of rise and recline chairs and our high quality range of mobility scooters, powerchairs, walking aids and much more. We have 10 used mobility scooters that are available to view at our Bridlington store. Looking for a mobility scooter in or around Bridlington but you're not exactly sure what you're looking for? Eden Mobility have a huge range to suit everyone. Come down to the Bridlington store today and see them for yourself! 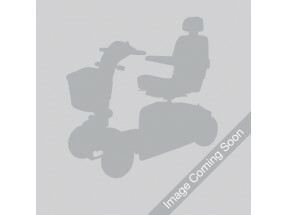 We have the highest quality powerchairs in Bridlington available at low prices. Come down to our store on Chapel Street, Bridlington - and see them for yourself. Enjoy your living room again with our high quality rise & recline chairs in Bridlington. We have many different styles and colours of chairs available so why not come and see our full range in store today. Eden Mobility are stairlift specialists in Bridlington and can provide a range of straight and curved stairlifts - either new or reconditioned. Visit our Bridlington store to see our live stairlift demonstration or get in touch with us for more information. If you or somebody you know requires a wheelchair, we can help. We have a huge range of lightweight and heavy duty wheelchairs in Bridlington. If you're not sure what you are looking for, please don't hesitate to contact us. We'll be able to give you friendly and knowledgeable advice.